As we age, our brains age with us. Aging increases the likelihood of cognitive decline that affects many older adults. However, just as lifting weights can strengthen the muscles in your body, there are plenty of activities that can strengthen and enhance the health and performance of your brain. 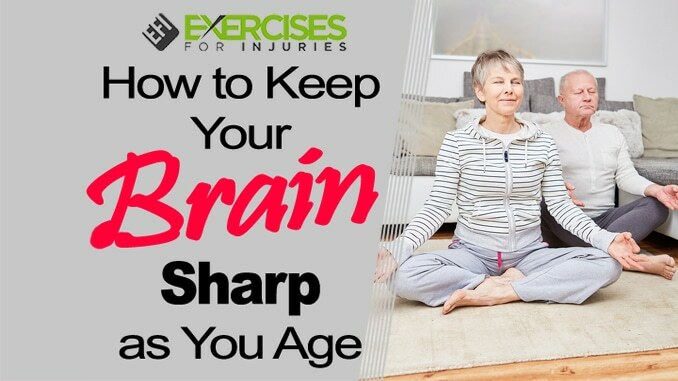 We’ve compiled a list of research-backed ways that you can keep your brain sharp as you age. One of the best ways to stay mentally sharp as you’re growing older is to continue learning new things. Researchers have linked advanced education to better brain functioning in older adults. It’s likely that the brains of those who seek out learning activities and new experiences are in the habit of thinking and staying mentally active. There are plenty of ways to keep the brain active by learning. Several universities offer their courses online free of charge. You don’t get college credit unless you pay for them. However, the lectures, notes, and assignments are available at no charge. Everything from statistics to creative writing is free for anyone who cares to log in. Other great ways to keep learning is to take up a new hobby like crocheting or building model cars. The internet is full of instructional videos that can teach you all sorts of new skills. 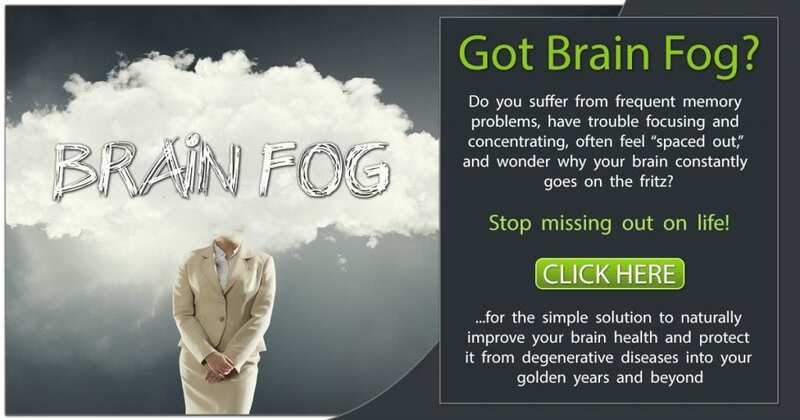 Your neuropathways will thank you for the increased brain activity. Another way to enrich your brain functioning is to play board games. 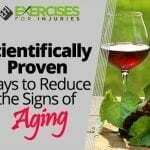 A study published in The New England Journal of Medicine followed a group of 469 healthy adults age 75 and older. Subjects were assessed for five years. 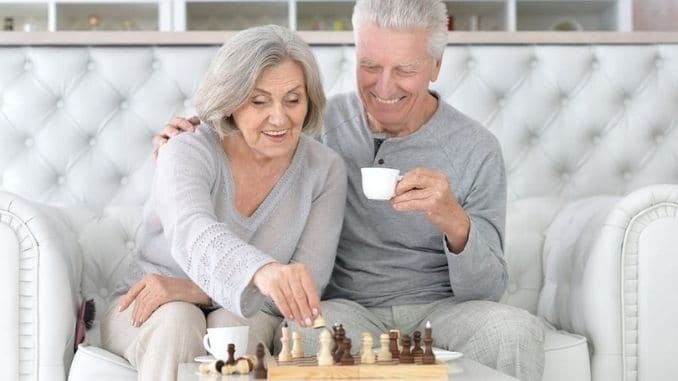 The researchers found that the participants who played board games had better cognitive activity, a reduced risk of developing dementia and less occurrence of Alzheimer’s disease than those who didn’t. If you’ve got a neighbor who loves to play Monopoly or a nephew who hasn’t learned chess, dust off the board games and get to play. Even if you don’t have a willing board game partner, you can still play solo. Games like solitaire, cameo, and the peg game are ideal for keeping your gray matter stimulated. Recent research out of Rush University Medical Center shows that adults who eat fish at least once a week decrease their chances of developing Alzheimer’s disease by 53 percent. It has also been discovered, by experts at the National Institute on Aging, that omega-3 fatty acids found in coldwater fish slow the progression of Alzheimer’s in patients already struggling with the disease. Aim for at least one serving of omega-3 rich foods each week. If you aren’t a big fan of fish, you can still get omega-3 fatty acids in flaxseeds, eggs, and walnuts. Daily fish oil supplements are also a good option. Just be sure to find high-quality supplements with at least 1,000 mg of docosahexaenoic acid (DHA) and eicosapentaenoic acid (EPA) combined. Rush University Medical Center experts have found that people who were deficient in vitamin B12 scored lower on short-term memory tests than those with adequate vitamin B12 levels. Similarly, the participants with low vitamin B12 levels had trouble with concentration and critical thinking skills when tested. If you’re not getting plenty of vitamin B12-rich foods in your diet like liver and clams, consider a sublingual (dissolves under your tongue) vitamin B12 supplement. Vitamin B12 can help improve your basic cognitive skills. A compound found in green tea called epigallocatechin (EGCG) has been found to benefit brain health significantly. One study, published in the journal Psychopharmacology, showed that the EGCG in green tea had a positive effect on cognitive functioning and memory. Since drinking green tea can give your brain a boost, consider having at least one cup a day. Hot green tea is great in the morning, or with meals. It’s also delicious over ice. Balance is intricately related to cognition. Your eyes, ears, and muscles send messages to the neurological system. The messages coming from your body to your brain essentially help you maintain your balance. Strengthening your balance will help you keep your brain sharp and alert. You don’t have to enroll in a program or buy equipment to incorporate balance exercises into your day. Simple things like heel-to-toe walking or backward walking will improve your balance and can be done anytime. Another good idea is to stand behind a chair and rise up to your tiptoes while you hold on to the back of the chair. Then, lower your heels back to a normal standing position. 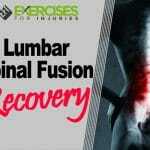 Repeat this exercise ten times, and then complete two more sets. As you find that your balance is improving, you can try this same exercise without holding onto the chair. Eventually, you’ll be able to do it while standing on one leg. Do your best to work on your balance every day. One practice that stimulates the brain is using your nondominant hand. When you use your nondominant hand to perform simple tasks, you require your brain to develop unique neural pathways. Making your brain take an alternate route enhances your overall cognition. Use your nondominant hand to brush your teeth. It’ll seem entirely strange at first, but it’ll get easier. Other simple tasks you can delegate to your nondominant hand include buttering your toast, opening the car door, using a computer mouse and dialing the phone. Have fun with this. Neuroscientist Catherine Kerr has done a vast amount of research on meditation and the brain. Kerr has found that meditation changes the brain in positive ways. Meditation can help the brain ignore distractions, increase memory and boost creativity. Meditation can be painlessly incorporated into a busy day. Start with just a 10-minute session. Find a place where you won’t be distracted and get into a comfortable position. Set a timer for your desired amount of time. Sit with your spine straight, feet on the floor and your eyes closed. Choose a word or mantra that you can repeat during your meditation. Any word is fine as long as it doesn’t distract you. To begin the meditation, say the mantra in your mind slowly over and over again. As your mind wanders, repeat the mantra. If you begin to think of anything at all, repeat the word silently to bring your mind back to the meditation. Continue this practice for the entire session. For more information on meditation and different ways to practice, look at our article here. I know, it would be more fun if we told you that eating more ice cream could improve your brain health. But, alas, we’ll tell you to exercise. In a study featured in the journal Acta Psychologica, researchers showed that aerobic exercise, for 20 to 60 minutes at a time, enhanced information processing in the brain. If you don’t want to spend your time on the treadmill, you can still get plenty of exercise into your days. Park a block or two away from your workplace and get a brisk walk before your shift begins. Offer to walk a neighbor’s dog a few times a week. Make it a priority to get at least 20 minutes of heart-pumping exercise each day to benefit your brain and body. A recent study found that during sleep, the brain flushes out toxins that have built up during the day. The National Institutes of Health found that cerebrospinal fluid flows through the brain while we sleep, clearing out things that don’t belong. Researchers have also found that people who sleep better and log more hours on the pillow have better memory function than those with interrupted or not enough sleep. If you tend to be a night owl, consider buying a pair of blackout shades to help you stay in bed longer in the mornings. That way, you can still enjoy your late-night talk shows and get the sleep you need. On the other hand, if your days start early, turn the lights off in your home about an hour before you’d like to get to sleep. Avoid television and opt for a podcast or audiobook instead. Get relaxed with a hot bath and hit the sack early. Aim for seven to nine hours of good-quality sleep each night to boost your brain health. Take good care of your brain. Do your absolute best to incorporate activities that strengthen, stimulate and nurture your gray matter every day. Good brain health will increase your quality of life and keep you sharp for the long haul. Becic, S. (2017). ReSYNC your life: 28 days to a stronger, leaner, smarter, happier you. Nashville, TN: Thomas Nelson.